Nsasoft offers Network Security Solutions, Product Key Recovery Solutions, Password Recovery Solutions, Network Inventory Solutions, Network Monitoring Solutions, Software Utilities for businesses, non profit & government agencies, educational organizations and individuals. 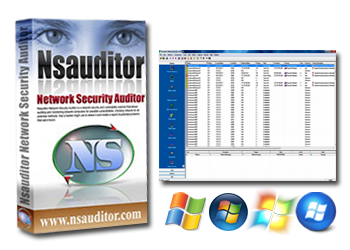 Nsauditor is Network Security Solution for auditing network security, includes more than 45 network tools and utilities for network security auditing, network security scanning, network security monitoring and more. NetShareWatcher is network shared folders monitoring solution, for auditing network folders permissions and identify shares which are violating data access policy in their organization. Being configured once, it will regularly notify you on network sharing detection with restricted permissions assigned. ShareAlarmPro easily performs network shares monitoring, file and folder monitoring, block unwanted users attempting to access secured shares and confidential files over network. 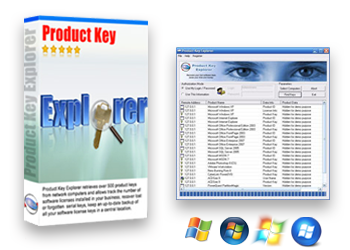 Product Key Explorer recovers product keys for over +4000 popular programs. The software recovers product keys for Microsoft Office 2010, Microsoft Office 2007 and Microsoft Office 2003, Windows 8, Windows 7, Windows Vista, Windows XP, Adobe CS5, CS4 and CS3. Office Product Key Finder Recovers Product Keys ( CD Key ) for Microsoft Office 2010, Microsoft Office 2007 and Microsoft Office 2003. Backup Key Recovery is product key recovery software from old hard drive. Recovers more than +2500 programs. APKF for MAC is Adobe CS3, CS4, CS5, Adobe Acrobat, Adobe Dreamweave product key finder software! SpotIE is an Internet Explorer Password Recovery Software solution to recover passwords to web sites saved in Microsoft Internet Explorer, and AutoComplete strings. 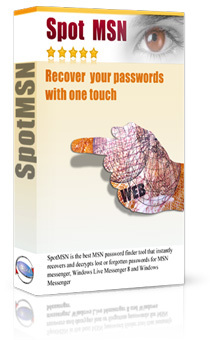 SpotMSN is MSN Messenger and Windows Live Messenge Password Recovery software solution. The software recovers lost or forgotten passwords saved in MSN and Windows Live Messenger. 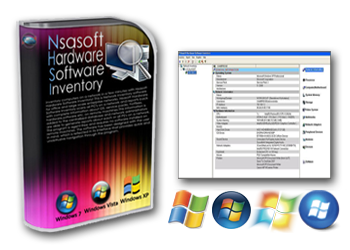 Nsasoft Hardware Software Inventory is a powerful network inventory software solution for home, office and enterprise networks. The software scans all network computers and generates complete network inventory reports. Nsasoft Network Software Inventory is network software inventory and tracking solution for home, office and enterprise networks. The software scans all computers on a network and generates complete reports about computers software. Product Key Explorer is software product key inventory solution. The software retrieves over +4000 popular software license key information (CD Keys) from local or network computers. NetworkSleuth is a network file searching solution. The software allows quickly locate files across a network. You can search for specific file names or for specific file types (e.g. all MP3 files). 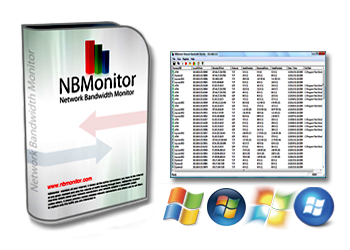 NBMonitor is Internet bandwidth usage monitoring software solution. The software tracks computer programs Internet bandwidth usage (uploads and downloads) and monitors all active Network and Internet connection at any given moment and the volume of traffic flowing through them. NBMonitor allows to create custom reports with detailed traffic usage information. 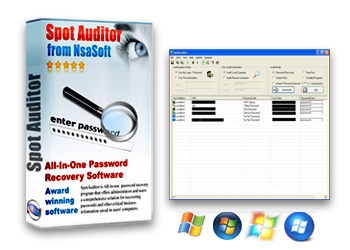 Nsauditor Network Security Auditor is a multi purpose solution designed to scan networks and monitor network connections. BlueAuditor is Bluetooth network monitoring software solution, Bluetooth network scanner for gathering information about Bluetooth devices. 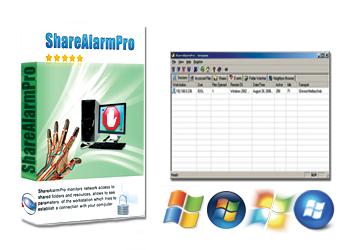 ShareAlarmPro is network shares and folder monitoring solution, block unwanted users attempting to access secured shares. DNSS Domain Name Search solution is the easiest to use toolkit and most cost effective software on the market for finding great web site domain names. The software checks hundreds and thousands of potential domain names for your business and allows to find great domain names that you would not normally have thought of. Text Template Parser is a data processing automation solution that allows parsing and extracting data from documents, web pages, emails, orders, support enquiries or feedback forms. This software will save you a lot of time and headaches trying to figure out a way to transfer data from complex text file to other file format or Access Database.